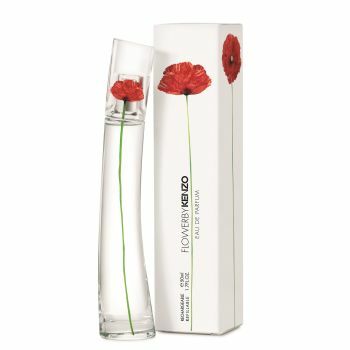 Flower By Kenzo Eau de Parfum is an unexpected, sensual and enveloping fragrance. A powdery floral driven by a bouquet of Bulgarian Roses and Violets, adorned with Vanilla and White Musks. A singular eau de parfum that has become an icon in the fragrance world.